This book has become many things for me: favorite recipe guide, favorite autobiography, favorite 'conversation starter' book, favorite attempt to pretend I'm in culinary school. 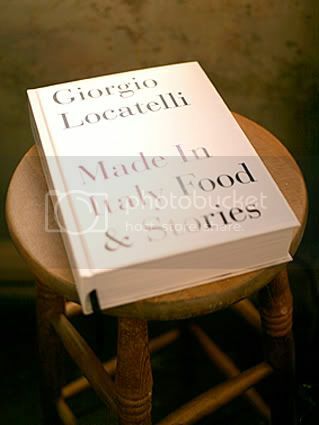 Giorgio Locatelli is a ridiculously handsome Italian man who paints pictures of his journey with food and restaurants. Along with the childhood stories and insight into restaurant woes and joys, this book is the most thorough food guide I have ever seen. An entire chapter dedicated to the intricacies of olives and and their glorious oil. A lengthy chapter on every imaginable detail of cheese. If these topics bring happy tears to your eyes, or provoke involuntary squeeling . . . order your copy here. 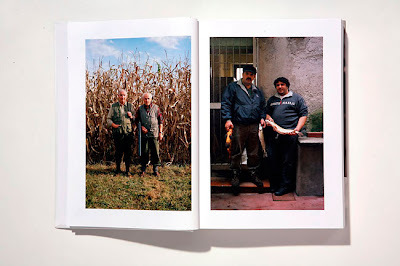 Dan Lepard is the man responsible for the Made in Italy photographs. Like all good food photography, these make your mouth water, but they also capture the spirit of Giorgio and the people in his life.